What FaceTime is used for? How does it work? Check this FaceTime wiki page to get more details. PhoneRescue – A Professional Data Recovery Tool for iPhone, iPad and iPod. Download PhoneRescue and try to recover deleted files from your iPhone in a quick way before reading this guide. 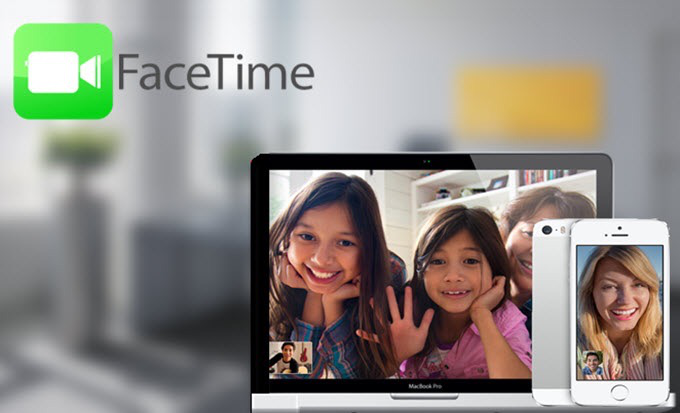 FaceTime is Apple's amazing video and audio calling service, and it enables users with Macs and iOS devices (iPhone, iPad and iPod touch) to talk to each other for free over a Wi-Fi or cellular data connection. With FaceTime setup, you can quickly have a free video or audio conversation with any other Apple owner. However, maybe there are still apple users who don't know how to use this feature on their devices. Check this wiki page to learn using FaceTime without troubles. With a Wi-Fi or cellular data connection, you can make and receive FaceTime calls. To do this, open your FaceTime app and sign in with your Apple ID (you can also do this from Settings > FaceTime). On iPhone, FaceTime automatically registers your phone number. To also register your email address on your iPhone, tap Settings > FaceTime > Use your Apple ID for FaceTime, and sign in. On an iPad or iPod touch, register your email address by tapping Settings > FaceTime > Use your Apple ID for FaceTime, and sign in. To make a FaceTime call, make sure FaceTime is turned on in Settings > FaceTime. Tap FaceTime, then type the name or number you want to call in the entry field at the top. Tap Video icon to make a video call, or tap Phone icon to make a FaceTime audio call. Or tap " + " icon to open Contacts and start your call from there. Multitask during a call. Press the Home button, then tap an app icon. You can still talk with your friend, but you can't see each other. To return to the video, tap the green bar at the top of the screen. Juggle calls. FaceTime calls aren't forwarded. If another call comes in while you're on a FaceTime call, you can either end the first call and answer the incoming call, decline the incoming call, or reply with a text message. You can use call waiting with FaceTime audio calls only. Use call waiting for audio calls. If you're on a FaceTime audio call and another call comes in— either a phone call or another FaceTime audio call—you can decline the call, end the first call and accept the new one, or put the first call on hold and respond to the new call. Block unwanted callers. Go to Settings > FaceTime > Blocked > Add New. You won't receive voice calls, FaceTime calls, or text messages from blocked callers.